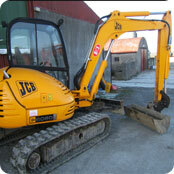 Super tools for digging & pouring founds, moving muck etc. (750mm wide) Rock Breaker available for micro. 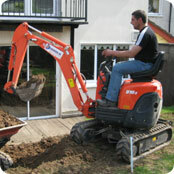 Great offer - Digger & Dumper only 240 per day. The in between machine. 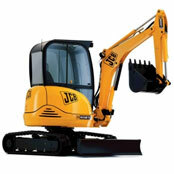 Powerful and able little digger. Available with a breaker too.. 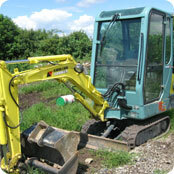 This is an all rounder and is at home on a building site or for landscaping duties. 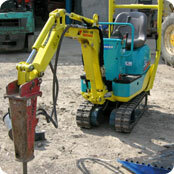 Ideal machine for building sites Ð digging foundations and loading lorries. This machine is an all rounder.